In most tropical countries it is not uncommon to have an occasional outbreak of Dengue Fever. Most of the time, people infected with the viral disease survive; however, some experience death mainly because of hemorrhagic shock and dehydration. Children are the ones who are the most susceptible to it since their immune system is not fully developed like the adults. Now, if you’re traveling, it’s always wise to know the facts about dengue fever, especially the recent events of its outbreak in countries you’re planning to go. Aside from the Philippines, dengue outbreak also extends beyond Asian boundaries. Recent news about dengue fever reported that in Pakistan, the dengue outbreak became high leading to closure of some schools. The government has required fumigation in those areas heavily affected with dengue, particularly kid’s schools, since there are already over 12,000 who are infected by the viral disease. Pakistan is now currently seeking help from India, and World Health Organization to combat the rapid dengue outbreak. In Peru, another strain of dengue virus has been discovered and authorities alerted immediately the public for precautionary measures. This type of strain is said to be more aggressive and patient’s health deteriorate at a much faster rate. Dengue has also reached parts of Queensland, where 53 cases of the disease have been reported. Dengue fever is a viral disease in which the virus can be transmitted from the mosquito to human through a mosquito bite. Usually, the person can experience the symptoms of the disease 4 to 5 days after he/she has been bitten by the infected mosquito. On the first phase, the person may experience flu-like manifestations. The fever may shoot up to 104 degrees Fahrenheit, and then develop pinpoint rashes on the chest, arms, or back. Another symptom is the pain in the joints. When left untreated, it may progress to hemorrhagic stage where there will be bleeding both internal (black stool), and external (bleeding gums and nose). We can combat dengue in many ways. Follow these prevention tips to protect yourself and your family from Dengue. To protect yourself from being bitten, it is wise to use mosquito repellent lotions, sprays, or anything that hides you from the mosquito. Another more practical way is to wear clothes that cover your whole body. To prevent Dengue virus-carrying mosquitoes from spreading, always make sure to turn pails and containers, or anything that can get water, down. Stagnant water can become a breeding site for mosquito. Water from flower vases must also be changed every day. 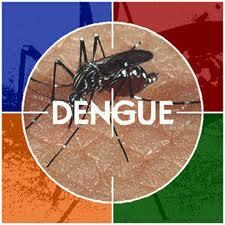 Dengue fever is a dreaded and very dangerous disease. You can always protect yourself from getting the virus from mosquito by keeping your environment clean and making sure you practice the precautionary measures.